In ongoing inspiration from my Channel Islands excursion in September, I have another Rocks & Water painting to show. 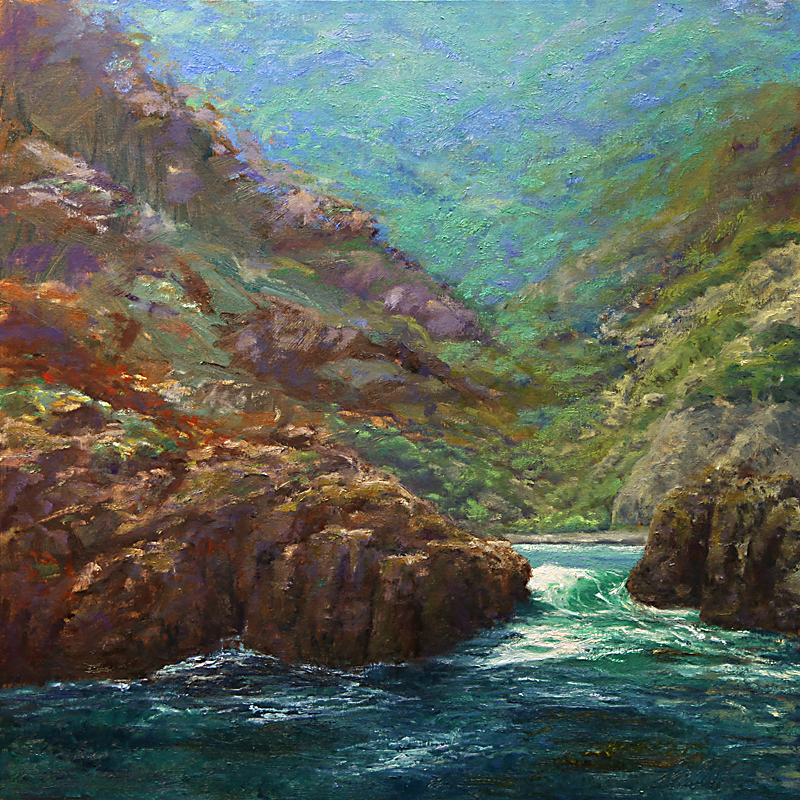 This is called “Green Ravine” which is based from the view from our boat onto Santa Cruz Island. There are never ending options in the vistas of these islands. Now I see why David Gallup has had a hard time pairing down his museum collection to just 70 paintings from his Channel Islands collection. He has a couple hundred! What I tried to accomplish in this painting was the movement of water. There are these surges against the rocks and in past paintings I have simply painted horizontal waterlines, as if I were at a lake. This is the OCEAN. Thanks to some work I saw of Stephen Mirich and his spectacular seascapes, I realized that movement is so important in capturing the reality of the sea. So, expect to see some more shoreline paintings in the near future as I work this out. Definitely a successful exploration, Rich. That water IS the ocean… ever moving, ever beautiful!!! Wonderful work!